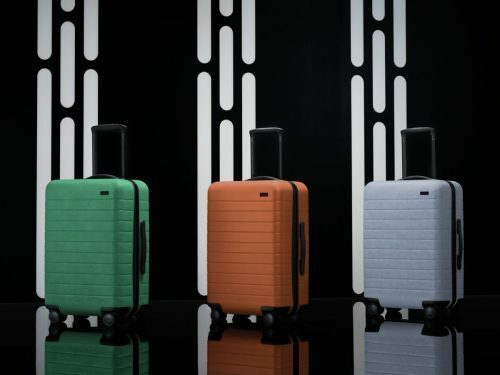 Away, who is known for its thoughtfully designed suitcases, has teamed up with Star Wars for a limited-edition collection inspired by the planets in the Star Wars saga. Released on May 4th, the Star Wars x Away Collection includes three colour ways, each named after planets in the Star Wars universe: Tatooine, a twin-sun-bleached orange, Hoth, a glacial blue, and Endor, a mossy green. Each suitcase also features a custom lining that reflects an element found in each of these iconic “Star Wars” worlds and is available in four sizes! Retaining all the features that Away luggage is known for – super-smooth 360-degree wheels, a removable battery, TSA-approved locks, and a built-in nylon laundry bag, these limited edition suitcases will make traveling a whole lot easier while getting heads turn at the airport! Away delivers within US for FREE, of course you can rely on us to bring them to you, for as low as HK$22/lb. Sign up with us now!